Films involving captivity are among the most traumatic as they portray a realistic horror. Watching a character experience a claustrophobic nightmare can feed the viewer thoughts leaving them feeling paranoid, and can even make a sensible person feel neurotic. M. Night Shyamalan’s new thriller, Split, hits cinemas on January 20th and stars James McAvoy and Anya Taylor-Joy. McAvoy plays Kevin, our leading man who has a total of 23 personalities with their own unique qualities, two of which are more sinister than the others and decide to kidnap three girls. To escape, the victims of his abduction must understand and manipulate whichever personality they meet to help them escape…but time is running out for the girls who fear the creation of a more dangerous persona coming into existence. A boy named Jack grew up living in a room with his mother Joy (Brie Larson). With one bed, a small kitchen, television, and one small window, to Jack, this room was the entire world. For his mother, it was a claustrophobic horror. Jack didn’t know any better. Fathered by his mother’s abductor and born into captivity, he was blissfully unaware of the abnormal life he led. Joy on the other hand, was acutely aware of the life they were missing and the growing threat it had on their health and safety. In an intricate plan of escape, the responsibility is handed to the seven-year-old to save them from this American nightmare. Jodie Foster stars alongside Kirsten Stewart in a thriller about a mother and daughter who were forced to retreat into a hidden panic room after robbers enter their home in search of three million dollars. The pair trap themselves in a room with no signal, no phone line, and a slimming chance of escaping without being harmed. This high-octane thriller brought to life by David Fincher keeps upping the ante as the robbers and their captives try to outsmart the others to either get the riches, or escape alive. The predecessor of found-footage horror Cloverfield (2008), the film starts with the protagonist, Michelle, waking up in an underground bunker with a broken leg after being involved in a car accident. She is greeted by a man named Howard (John Goodman) who claims to have saved her from the deadly outside. Despite his claims, Michelle is suspicious of his intentions and decides that escaping outside into a life-threatening atmosphere seems more attractive than being imprisoned with a neurotic liar. John Goodman’s role as Michelle’s ‘saviour’ keeps the audience on edge as he intermittently changes between tender father-figure to creepy kidnapper, and keeps you guessing his true intentions right until the end. This film is frustrating from the beginning to the end, with numerous plot twists you are guessing every five minutes what will happen next. The film is about a father (Hugh Jackman) whose daughter and friend go missing. Believing they were taken, he goes to unimaginable lengths to retrieve any information concerning their whereabouts. This includes incarcerating and torturing a man named Alex Jones, the main suspect who just so happens to have the IQ of a 10-year-old. Director Dennis Villeneuve doesn’t hold back for the benefit of making his audience feel comfortable, and delves right into topics that will make you squirm. Quarantine is a found-footage horror about a news reporter and cameraman assigned to follow a pair of firefighters on their nightshift. During a department tour an emergency call dispatches them. Upon entering the residence, an old woman attacks them, biting and killing a police officer. She is not the only resident behaving in this frightening way as it seems to be some sort of zombie-like epidemic that has spread in the building. Before the uninfected are able to escape, the CDC suddenly quarantine the building. Directed by Jennifer Carpenter, this film is tense throughout with jump-scares round every corner. Jodie Foster stars in this classic thriller directed by Jonathan Demme. She plays FBI agent Clarise Starling who is on the hunt for serial killer ‘Buffalo Bill’, a man who skins his victims to make a ‘woman suit’. Buffalo Bill’s next victim is the Senator’s daughter who he kidnaps. He proceeds to trap her in the bottom of a dry well where she notices she isn’t the first to be thrown down there. Up the walls she can see bloody scratches and a human fingernail of someone who frantically tried to escape before her. 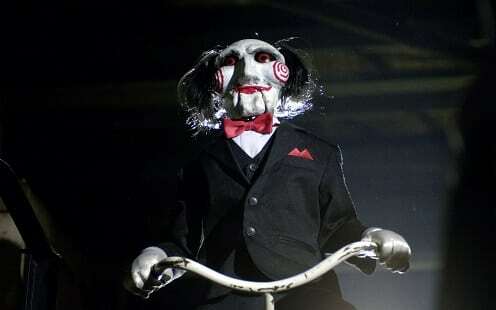 If you are unfamiliar with the Saw franchise, it revolves around the antagonist ‘Jigsaw’ who kidnaps people he believes to be morally corrupt, traps them in rooms, and are force them to complete gruesome games in order to keep their lives. The games include having to wade through a room of barbed wire, unlocking a bear-trap attached to your head, reading codes from a wall using a candle while they’re covered in flammable oil and as you can imagine they don’t tend to end well. Bruce Willis plays the small town cop who has to save a family from a hostage situation, but he finds himself getting deeper into the situation than expected with his own family at risk. The family held hostage are trapped inside their own home by three unstable teenagers. 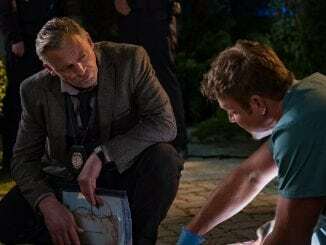 No one seems to know what the boys are really capable of and the level of danger the family are in, but viewers feel safe once they see Bruce Willis to come to everyone’s rescue. Rumour another Saw movie is on the table! New ‘Saw’ movie could be with us as soon as 2016!! !